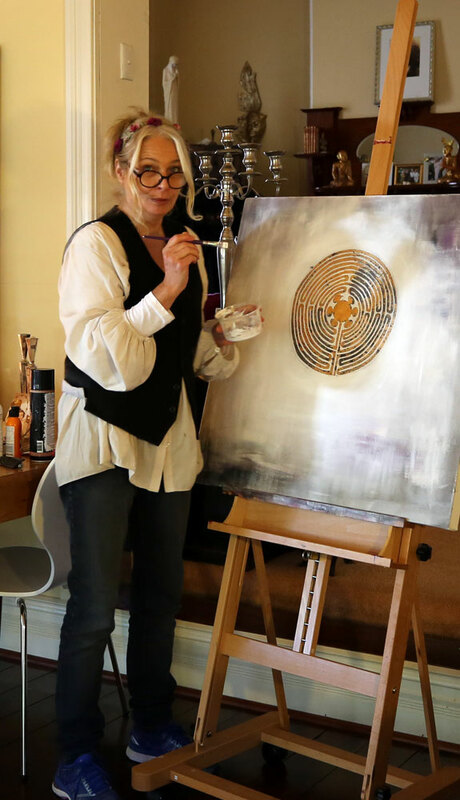 From 1995 to 1999, she also studied Art therapy, Gestalt therapy and spiritual psychology and later worked with handicapped youth, people with severe brain injuries, abused children, cancer patients and dying children and adults. Mirjam has also been a Meditation teacher for over two decades, running spiritual retreats in different countries in Europe, the USA and Australia and also worked in private practice. In 2002 Mirjam immigrated to Western Australia where she still lives with her family. On her many travels around the world, Mirjam became friends with the High Shaman of Africa as well as some aboriginal elders in Australia and also visited a tribe in the Amazons in Brazil where she had the privilege to study different forms of shamanism. In 2015, she decided to solely dedicate her time to her art.